I am a big fan of pasta. Does not matter what kind of pasta it is as long as it has a sauce over the noodles. I have never been able to master the “fancy” pasta as I like to call it. You know… the cheese mixture stuffed in pretty shells with a lovely sauce served on a fancy platter. I have tried, and failed numerous times. But as I was looking through a magazine and saw some rolled lasagna I thought that it looked simple enough and that even I could make those…and in the Crock-Pot no-less! Rolled noodles around a simple ricotta cheese mixture. Not a problem…I got this!! To begin with this recipe you are going to want to first heat up some water on the stove top so that you can cook your lasagna noodles. You do not want them completely done, so al dente. You want the noodles cooked enough to be able to roll them up , but not too much that they are falling apart when you do roll them. As the noodles are cooking, mix together the ricotta, eggs, mozzarella and Parmesan cheese in a medium bowl. Just stir it all together with a fork or spoon and set it aside. Once the noodles are cooked al dente, strain the hot water off and cover the noodles with cool water to stop the pasta food cooking further. Then strain the water off again. On your counter-top lay each noodle out and dollop a good sized heaping spoonful of the ricotta cheese mixture near one end of the noodle. Then…just roll each noodle up over the filling. You can secure each roll up with a toothpick if desired. I tried it, but it didn’t really help. In the bottom of a 5 to 6 quart slow cooker pour one jar of your favorite marinara sauce and spread it around. Layer the lasagna roll-ups in the pasta sauce until you have no stuffed noodles leftover. 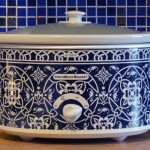 Cover your crock-pot and cook on LOW for 4 to 6 hours. But at about one hour to 30 minutes before they are done, add in the second jar of marinara sauce and sprinkle the remaining 1 cup of mozzarella cheese over it all. 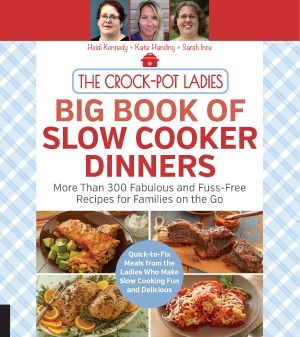 If you are serving immediately, serve from the crock-pot. If not, spoon the roll ups into a serving dish. I had my 10 year old try the noodles. She mentioned that “whatever is in the crock-pot smells good” and I gave her a large spoonful of the Lasagna Ricotta Rolls. She loved them and asked for more. My mouth dropped open!! This from the child that will not eat melted cheese on her hamburgers, She wanted more. Cook the lasagna noodles to the al dente stage according to the directions on the package of pasta. Drain noodles and then rinse in cool water to stop cooking. Set aside. In a medium bowl mix together 2 cups of the mozzarella cheese, ricotta cheese, Parmesan cheese and the eggs until combined. Set aside. Take one noodle at a time and lay it out flat on the counter-top. Spoon one heaping spoonful of the ricotta cheese mixture onto the bottom half of each noodle and roll the noodle up around the ricotta mixture. Pour one jar of the marinara sauce in the bottom of a 5 to 6 quart crock-pot. Layer the rolled lasagna noodles in the marinara sauce until you have no more noodles left. One hour to 30 minutes before serving, add in the second jar of marinara sauce and sprinkle the remaining 1 cup of mozzarella cheese on top. Nutrition information based on 6 servings. I love my crock pot and love lasagna. We have to try this recipe. Be sure to come back and let us know if you liked the recipe!